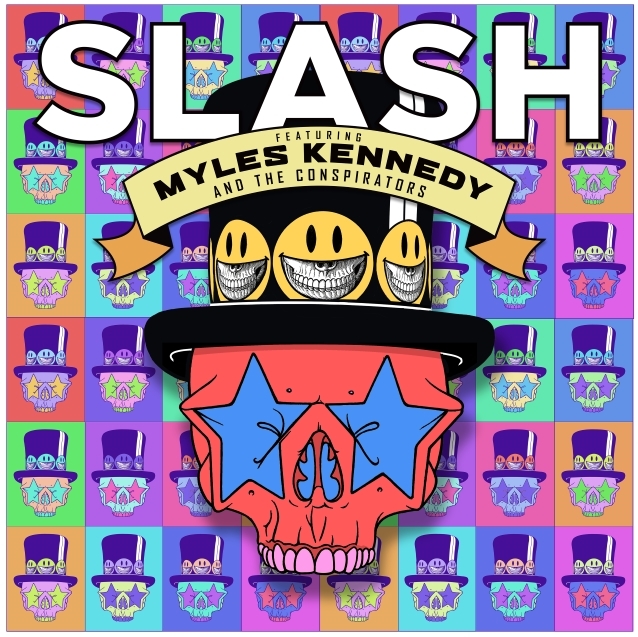 "My Antidote", a new song from SLASH FEATURING MYLES KENNEDY AND THE CONSPIRATORS, can be streamed below. 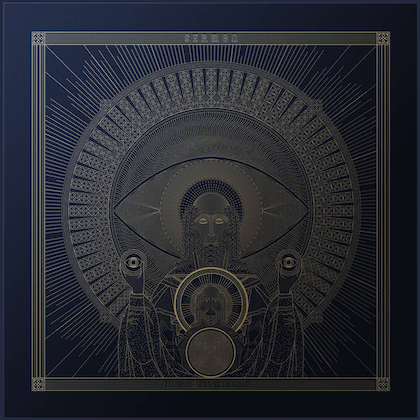 The track is taken from the band's new album, "Living The Dream", which will be released on September 21 via Slash's own label Snakepit Records, in partnership with Roadrunner Records. 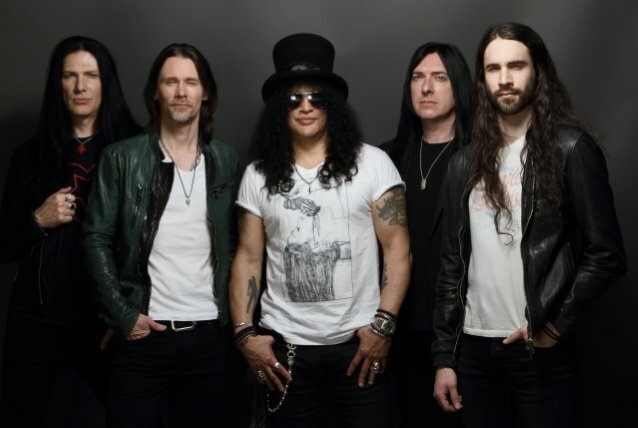 "Living The Dream" is Slash's fourth solo album, and third with Slash and his bandmates Myles Kennedy (vocals), Brent Fitz (drums), Todd Kerns (bass and vocals) and Frank Sidoris (guitar and vocals). 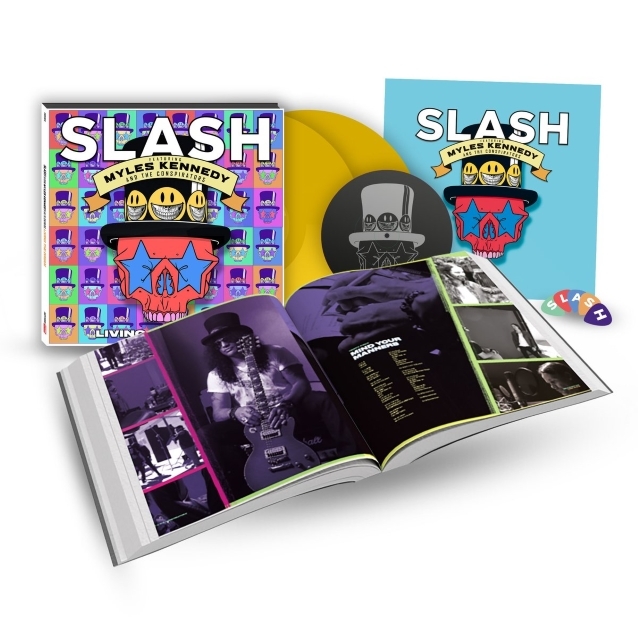 The band has launched a physical pre-order for "Living The Dream" including: a limited-edition deluxe premium 2LP yellow vinyl within a premium "Living The Dream" vinyl-size 20 page hardback book, an exclusive one-sided seven-inch single of "Driving Rain" featuring an etching on the B-side with a special set of Slash guitar picks, standard digital and physical CD album, poster as well as a limited-edition t-shirt and hoodie are available. The group's North American headlining tour will visit 20 major cities, including New York, Denver, Philadelphia, Boston, Washington, DC, Chicago, Austin, Houston, and more before ending October 14 in Sacramento.